Suzan of Green Leaf Inspirations has tried to make DIY dishwasher tablets in the past without success. Then she developed this recipe and it worked! There are just 4 ingredients in this recipe. 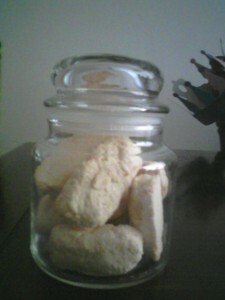 After mixing the tablets and allowing them to dry, you can just store them in a glass jar. Suzan says she LOVES this recipe, and it works much better than Cascade or other commercial products!